On this page are memorials for chaplains as a whole or in general, usually built and maintained by the government. 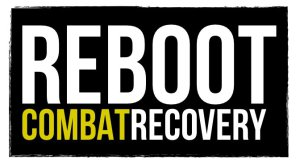 For memorials for individual chaplains, visit this page. The Chaplain Corps Memorial is located at the U.S. Army Chaplain Center and School at the Armed Forces Chaplaincy Center at Fort Jackson, SC. This memorial honors those chaplains and chaplain assistants who gave their lives in the defense of freedom. Along with the “official” memorial, there are other items on the grounds that also honor the memory of past chaplains. 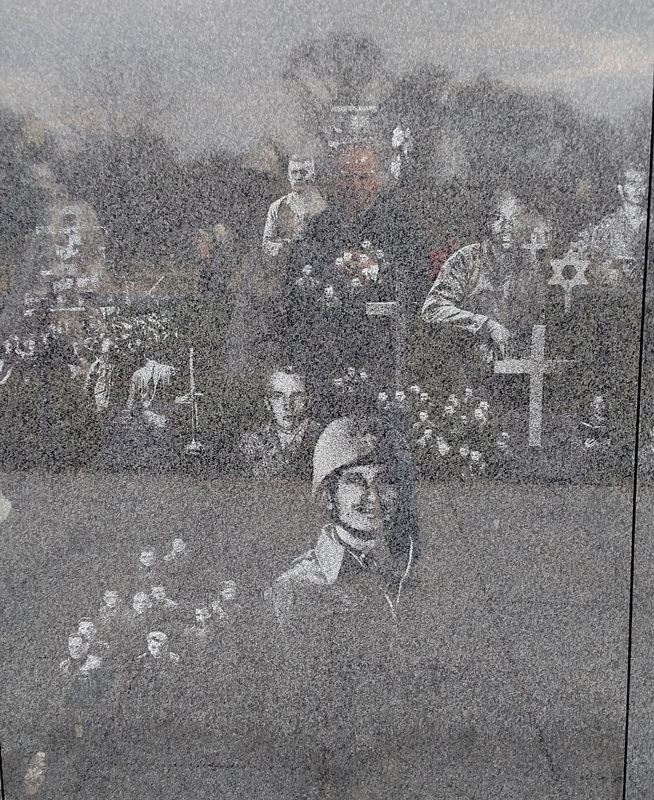 More pictures of the Chaplain Corps Memorial at the U.S. Army Chaplain Center and School can be found on this page. On a hill in Arlington National Cemetery in Arlington, Virginia, there’s a sacred space set aside to honor the sacrifice of chaplains at war throughout our nation’s history. Korean War Veterans Memorial, Washington D.C. 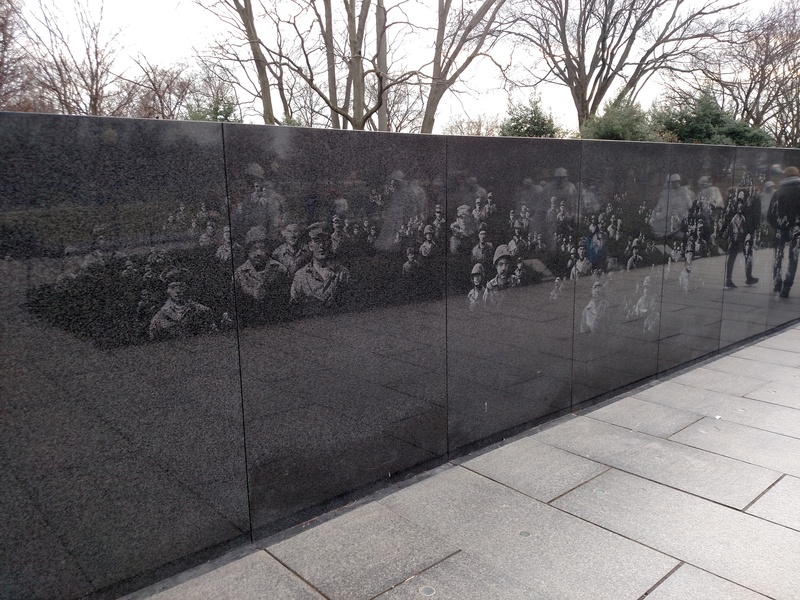 The Korean War Veterans Memorial in Washington D.C. includes a mural wall with 41 panels, each with pictures (from the National Archives) of the various services and branches of the U.S. military who served. 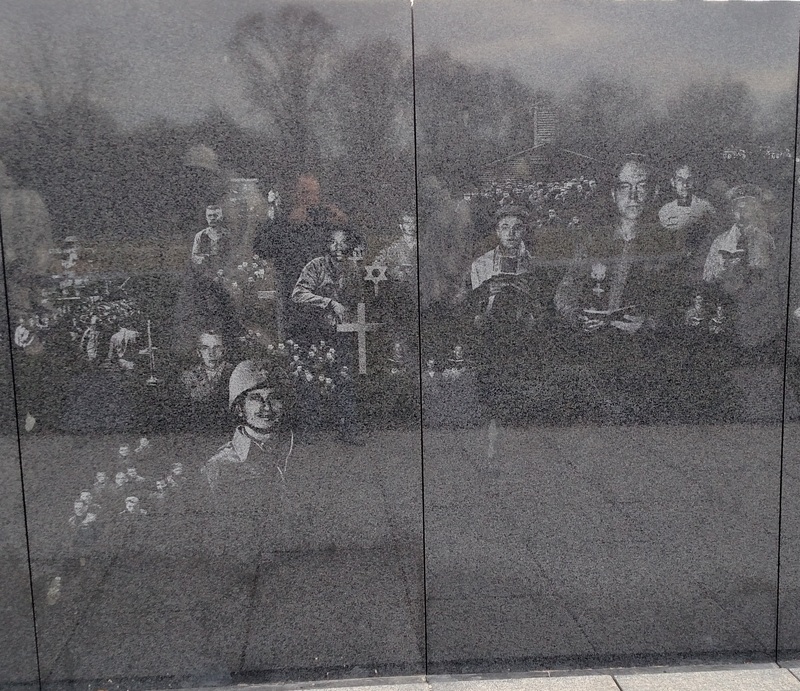 The 12th and 13th panels have chaplains depicted on them. 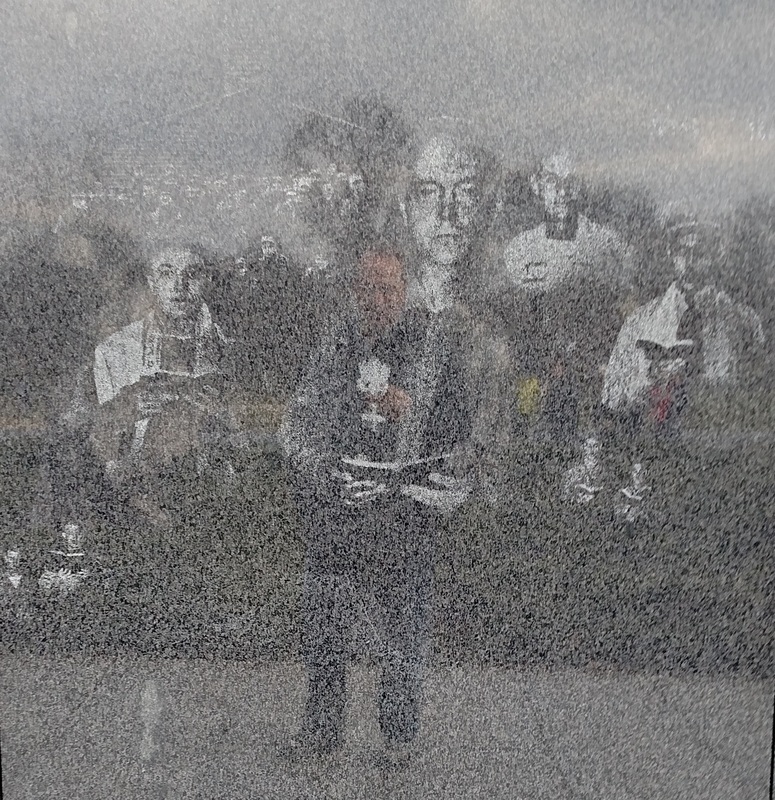 This is a moving memorial, as the faces of those who served gaze back at you with your reflection among them. Bronze sculpture titled, “The Chaplain” by Austin Deuel, located on the Scottsdale Civic Center Mall “honors veterans and their chaplains, who have served as spiritual advisors to soldiers and provided solace in a time of war” (http://scottsdalepublicart.org/permanent-art/the-chaplain). World War 2 Memorial, Washington D.C. Relief honoring chaplain ministry in World War 2 on the “Pacific” side of the World War 2 Memorial in Washington, D.C. 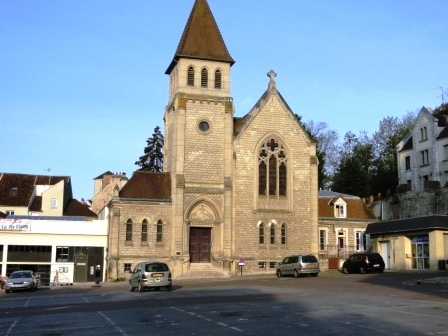 The American Reformed Church in Chateau Thierry was built with funds raised by the Methodist Church in the United States. It sits on the Place de l’Hôtel de Ville next to the City Hall. 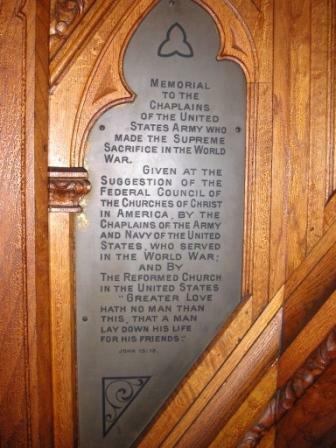 On the side of the pulpit is a plaque which which honors chaplains of the United States who died during World War 1.